Snowmobiling history dates back to the year 1917 where the winter season in the northern mid-west could be very challenging. 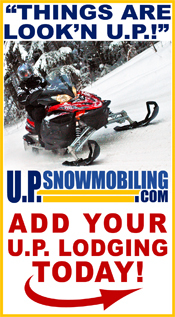 Snowmobiles were more of a functional tool in the early days verses a recreational sport that it has become today. The northern winters posed numerous challenges to the hard working men and women of those days. The history of snowmobiling tells a tale of hard work, creativity, experimenting, and overcoming challenges. It is really hard to find evidence of the 1st sled machine ever created. There are reports of inventors experimenting in Wisconsin with snow vehicles before 1900. There is great documentation and stories about Carl Eliason of Sayner, WI. He was an inventive man who spent 31 yrs perfecting what he termed the “Motor Tobaggan”. Please visit our page: The History of the 1st Snowmobile to learn more.